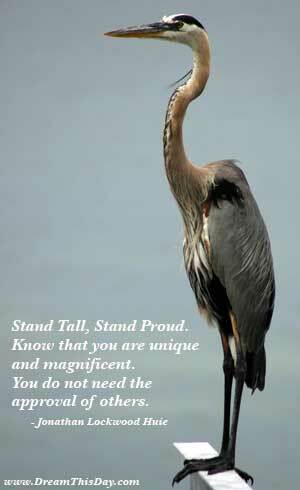 May you find great value in these Self Esteem quotes and sayings. a name for not loving yourself enough. and doing it very well, ever loses his self-respect. for a lack of self-acceptance. You cannot hate other people without hating yourself. ready for more mental challenges. seems like I have more calmness and better self-esteem. I think high self-esteem is overrated. A little low self-esteem is actually quite good. Maybe you're not the best, so you should work a little harder. For some reason, all artists have self-esteem issues. and when death comes, we meet it alone. are physically healthier and have a stronger self-esteem. not what other people think of you. Cherish believes that God made her with a special purpose. but for the most part she has a real healthy self-esteem. Every new adjustment is a crisis in self-esteem. Don't worry so much about your self-esteem. Worry more about your character. Integrity is its own reward. because most cancer patients feel loved and they have hope and self-esteem. grounded on what is just and right. When I was 19 years old, I came down with anorexia. I had it for about a year before it became public. And it had a lot to do with my self-esteem. Self esteem is the reputation we acquire with ourselves. our successes and forget about the failures and the negatives in our lives. Conscience: self-esteem with a halo. So many comics have such low self-esteem. It's very validating when you are new in the industry to get awards. I never had a drug problem; I had a self-esteem problem! making them more likely to enter the juvenile justice system. I think, head up and shoulders back. it gives you confidence and boosts your self-esteem. The most insignificant people are the most apt to sneer at others. They are safe from reprisals. but by lowering their neighbors. Drugs are a waste of time. everything that goes along with with your self esteem. Self-esteem is as important to our well-being as legs are to a table. It is essential for physical and mental health and for happiness. self-esteem and sense of sexual turf. Oh, God, I struggle with low self-esteem all the time! I have so much wrong with me, it's unbelievable! I don't take compliments very easily. I think most musicians suffer from low self-esteem to some extent. feel that you have to be rich to have self-esteem. Where talent is a dwarf, self-esteem is a giant. Self esteem comes from doing something and accomplishing something. and dignity, not as an ideal, but as a real test of community organization. do not have staying power. especially if this dependency is a dependency of our self-esteem. then you make everybody your judge. camaraderie and, of course, self-esteem. to participate in sports who normally wouldn't. is to create this little box and then do their research inside it. Thank you for visiting: Wise Quotes about Self Esteem.